Four weeks into the new year and I’m totally into this project. So far I’ve realized that it’s helping me to remember all this little moments. This week was low on the photo front but I still managed to snap a few of my favorite things: good coffee, knitting, cocktails, hibiscus and drives in the country with my window down. I’ve taken to keeping the week’s “title” card fairly simple with a little embellishment and the date range stamped out. 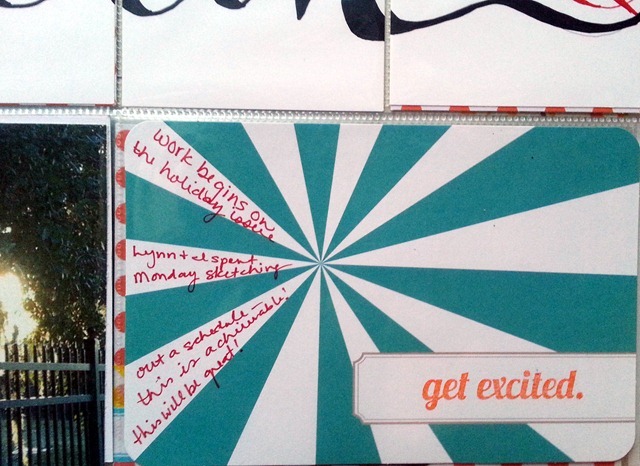 The “today is good card is the backside of a card I used in the prior week. Love that they are two sided! Again, just keeping it simple, a few shots from a weekend drive and a bit of journaling. 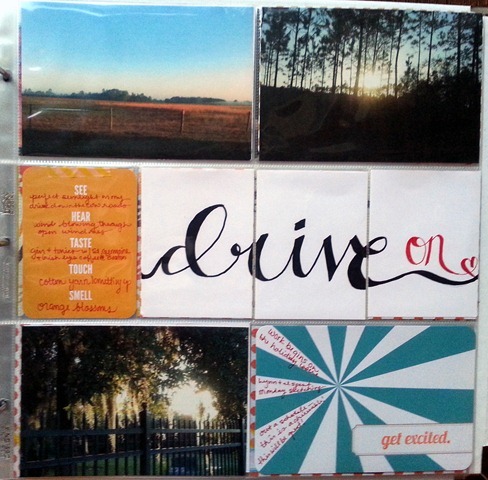 The “drive on” was just me doodling but I decided to cut it down to fit across the 3x4s. 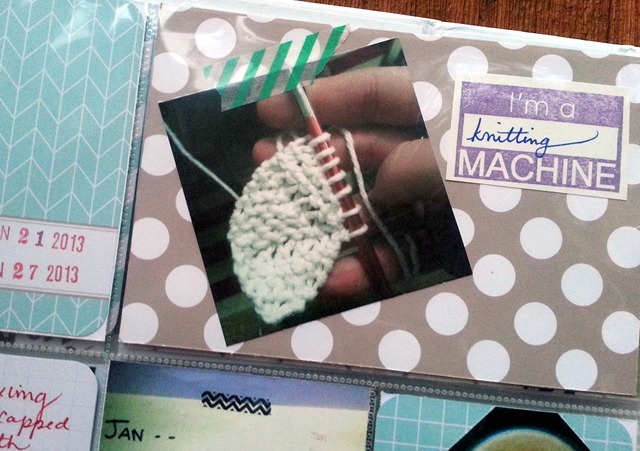 Knitting, washi tape AND my favorite stamp? This was easily my favorite part of this spread. and I really liked how this turned out with the rest of the Martha Stewart label wrapped around the side (I wrote on the label on the reverse of this card last week). I just did a simple mat under the 3×3 photo to make is stand out a bit more. I love how the flower matches the paper. 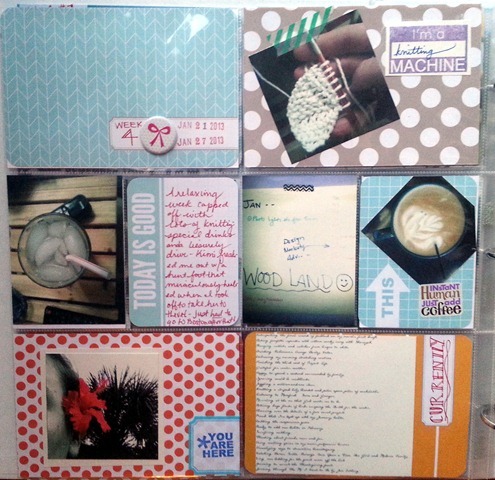 These pinwheel cards are so fun! 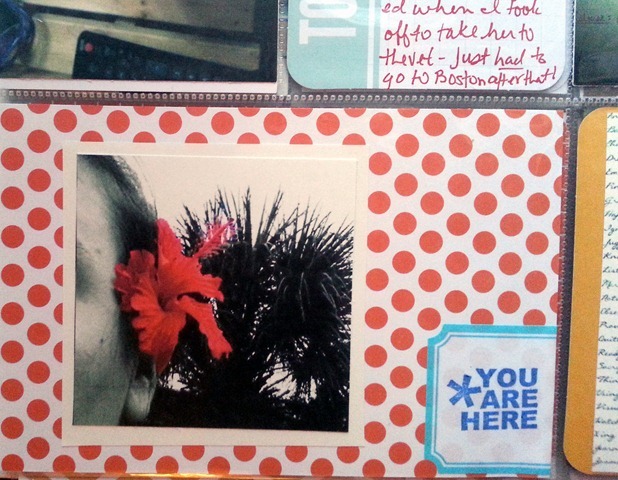 I decided to include a bit of journaling as well. So there you have it! 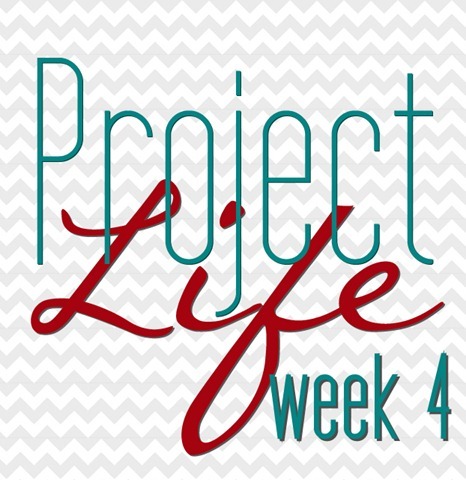 Week 4 in Project Life!